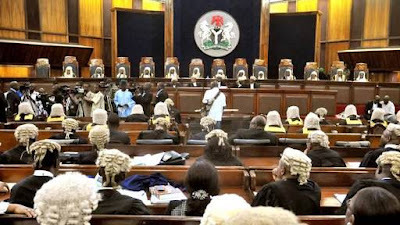 The Supreme Court on Friday morning dashed any hope of the All Progressives Congress (APC) presenting candidates for the coming general elections scheduled to begin on Saturday 16 February with the presidential and national assembly elections. A five-man panel of Judges of the court in a judgment upheld the nullification of the primaries of the APC in Rivers State. On January 7, 2019, a Federal High Court sitting in Port Harcourt, Rivers State, nullified the primaries conducted by the two factions of the All Progressives Congress (APC) in Rivers State. 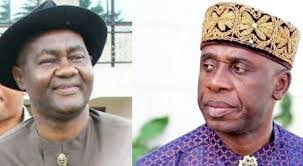 In the judgment, the court also restrained the Independent National Electoral Commission (INEC) from presenting Tonye Cole, Magnus Abe and other candidates of the APC in the 2019 governorship election in the state. However, on February 4, 2019, the Court of Appeal sitting in Port Harcourt granted stay of execution of the Federal High Court’s judgement. Sequel to that the Cole APC faction had taken the case to the Supreme Court.